If you like the outdoors and camping out, then you know how important it is to anchor your tent or tarp properly so it doesn't get blown away. A strong anchoring point is essential in keeping your tent or tarp firmly attached to the ground. 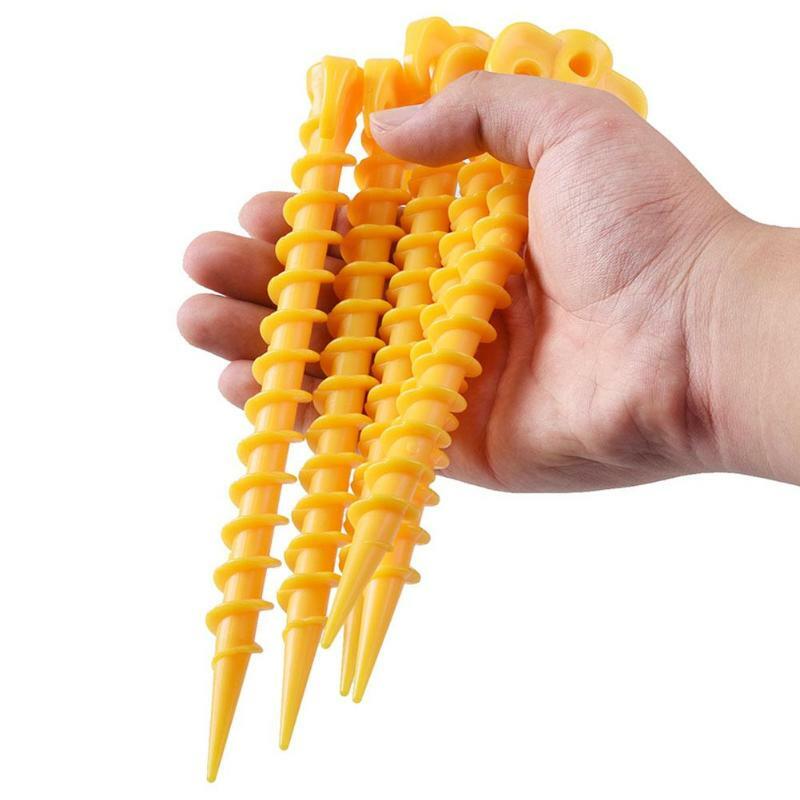 Most hammer-in tent pegs are made of metal and if you're not careful or if the ground is too hard you may bend them while trying to drive them into the ground with a mallet. With the CampLite™ Nylon Screw Stake you can now keep your tent firmly secured to the ground without having to hammer pegs into the ground. 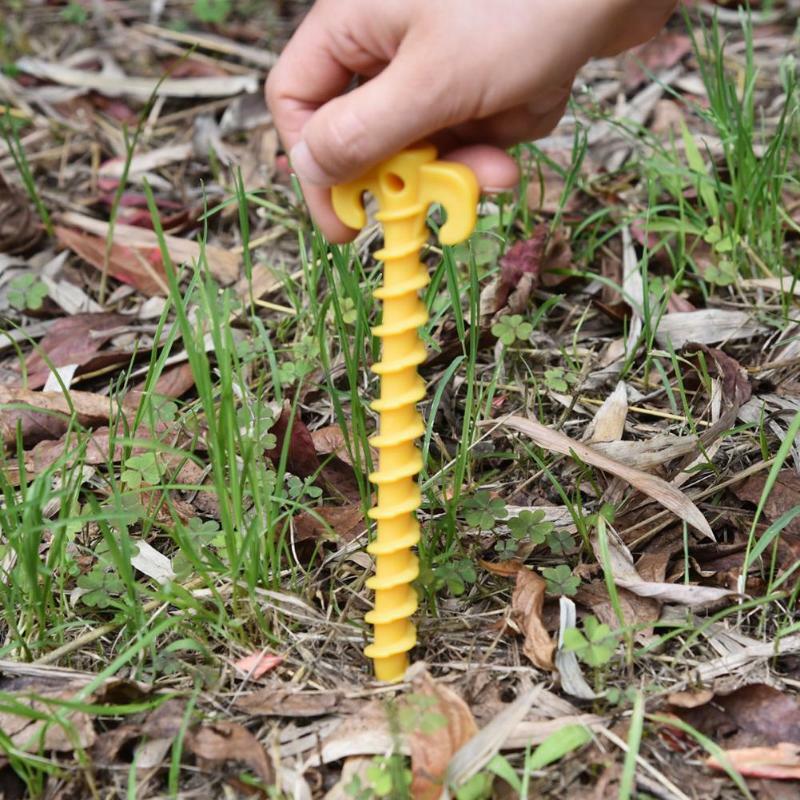 Simply screw one CampLite™ Nylon Screw Stake into the ground and you're good to go. The added benefit of a screw profile is the increased surface area which means that such a small peg can keep large tents secure with no problems at all. 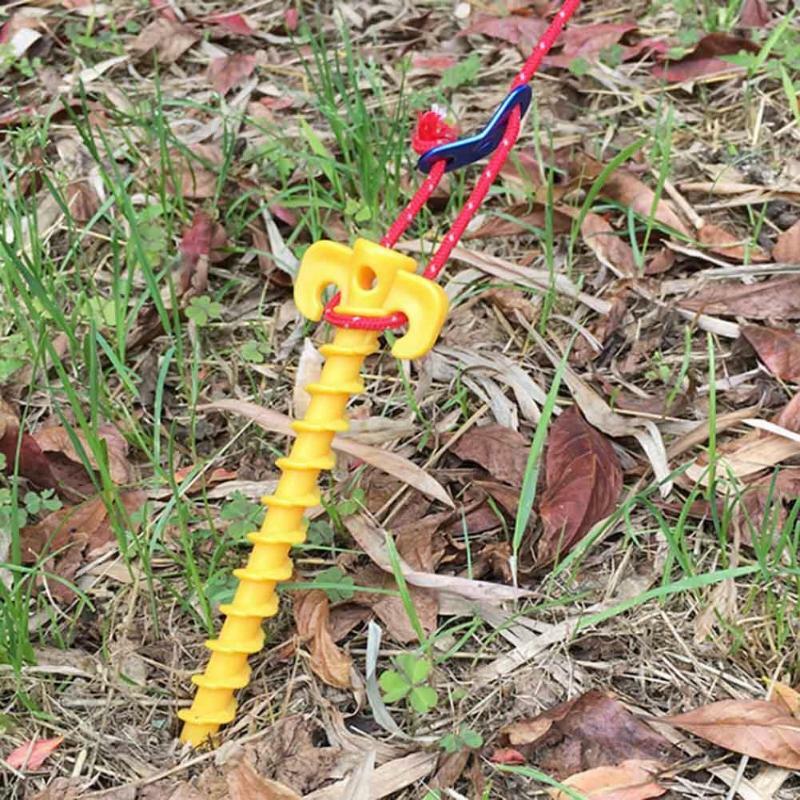 Features: Nylon and plastic construction materials mean that the pegs are strong enough to hold down tents during windy conditions while still remain lightweight Flexible enough to bend but not break Has a sharp point to help you drive CampLite™ Nylon Screw Stake through the highly compact soil. Corrosion resistant Package Inclusions: 1 pack of (10) CampLite™ Nylon Screw Stake You can use the CampLite™ Nylon Screw Stake for a number of things like keeping a tarp over the car, a canopy, keeping your boat secure. it even works well in the sandy soil! It is that versatile and incredibly light despite its strength. With the CampLite™ Nylon Screw Stake you can pitch your tent without having to worry about bent pegs. Get Yours Now!! Not Available In Stores , Limited stock available. Don't forget to subscribe to our newsletter to get 10% off on this order today, and exclusive offers and special items and huge discount prices for our valuable customers.